All hail the New Wave Of Dorset Doom. Who’d have thought that a quaint town in South West England could produce one of the most vicious sludge-doom of this year so far? 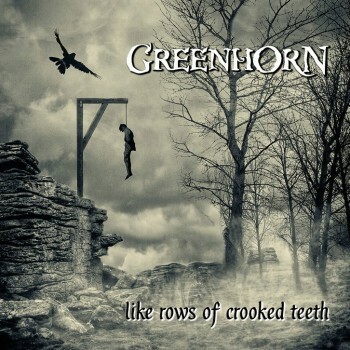 Wimborne’s Greenhorn have only been around three years, and are already on their third release after last year’s top-notch Doom Hawk EP and The Plague Doctor’s Mask demo the year before, both of which received very positive noises: Terrorizer wrote they “[m]ay well be the future of British Doom”. 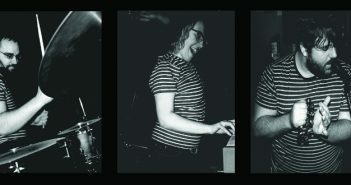 This time round, the band have taken their filth-fueled formula and battered it with a caveman club. The result: Like Rows Of Crooked Teeth. The first encounter with this record demonstrates its immensity and intensity; recorded at Jon Davis’ Skyhammer Studios, it pulses with numerous thick riffs, and the drums are some of the best-mixed thumps I’ve heard in a long time. Highlight riffs are the one found between rounds of guest Jon Davis’ (Conan) pseudo-melodic yell in ‘Kentucky Boone’, the riff that rebuilds ‘Dead Man’s Hill’ after it collapses halfway through into feedback, and another near the end of ‘Witch’s Bridle’ which has a thrashy Diamond Head feel to it. Bassist Simon Williams’ vocals are certainly a point of interest: while his style of snarl is by no means unique to the sludge scene, it is well-suited to the music, and seems to dip in and out of intelligibility: ‘Witch’s Bridle’, a re-recording from their demo, shows the difference between the catchy yet incomprehensible chorus (featuring producer Chris Fielding of Conan on backing vocals) and the repeated section of “Confess your sins, for goodness’ sake” later. The song also displays Williams’ clean vocals, reminiscent of Lee Dorrian (Cathedral) as he intones the punishment for witchcraft in the verses. But there’s much more to the band than just trudging and crushing sludge: Greenhorn have a history of dropping guitar licks into their music, as witnessed in both their demo and EP, and it crops up again in ‘Long Drop’: Alex Jack rips a noodling Southern-style lead out of nowhere, just once, before the band crash back in and Simon Williams snarls “Never look down, never back down, never look down,” in reference to the song’s topic of hanging. There is a common thread running through Like Rows Of Crooked Teeth, though it’s too far a stretch to call it a concept album. As Williams comments in an interview, “Each one is written about someone from history who has been put to death. Some for ridiculous reasons like witchcraft, or alleged treason, and others for more, shall we say, deserving reasons…” That latter part is most likely a reference to the title track which closes the album. The song ‘discusses’ Carroll Edward Cole, a misogynistic serial killer, through a series of news reports and interview snippets  over a series of lumbering riffs that echo the much-missed Mistress, before the ending is drenched in feedback. A stunningly heavy track to round out the album. 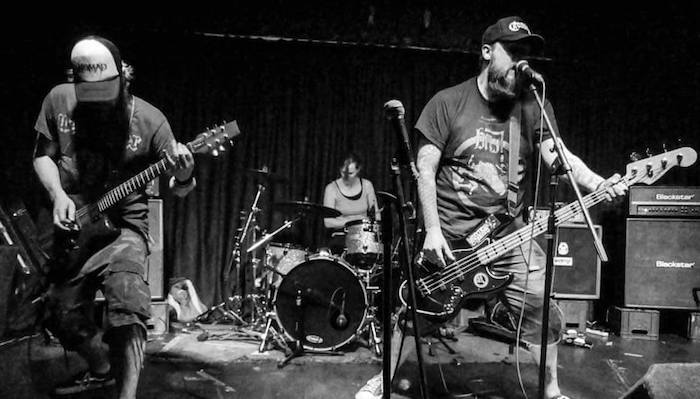 Greenhorn have matured far more than their slang name implies,  and Like Rows Of Crooked Teeth is a high ‘n’ dry pillar of this saturated scene. If the band keep up this evolution, you’ll soon be hearing their name in the same breath as the bands they admire. 2. Link to Doomed And Stoned review and interview here. 3. Interview with Cole here. 4. Greenhorn is a slang term for newcomer. N.B. While current drummer Mandy Browne is pictured in the cover photo, it was Vinnie Edmonds who played on this record.